Garage Door Openers - 24/7 Garage Door Repair & Installation Raleigh, Cary, Durham, the Triangle. One of the most important pieces of your garage door system is the Opener and it can not be overlooked. 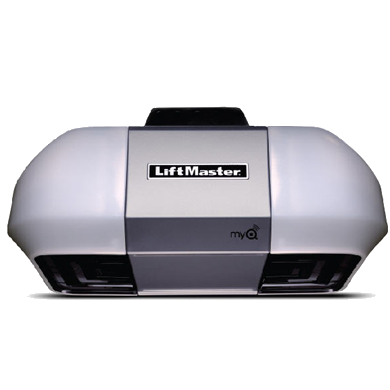 If you need garage door opener repair, sale or installation we are here to help you. Our services are affordable and reliable with lifetime warranty on labor! Not Sure which Garage Door Opener is best for you? No problem! We will send one of our experts to your location at no cost, and he will provide with information about your best options. We Do 24/7 Same Day Services with Lifetime Warranty! The most popular garage door opener. It is the least expensive of the openers but it is also the noisiest since it uses metal chains to open and close your garage door. If noise is not a problem or if your garage is detached from your home, then this could be your best option. Unlike the chain drive, this garage door opener uses belts instead of metal chains to move the trolley. It is very quite and its maintenance costs are low. Belt drive openers are one of the best openers you can buy and it is a most if you home has bedrooms near your garage door. The direct drive opener is similar to the belt drive in that it is very quiet. As the name indicates, the opener is directly attached to the door and it moves with it when raising or lowering the garage door. It doesn't have extra parts like a belt or chain, making it really easy to maintain. 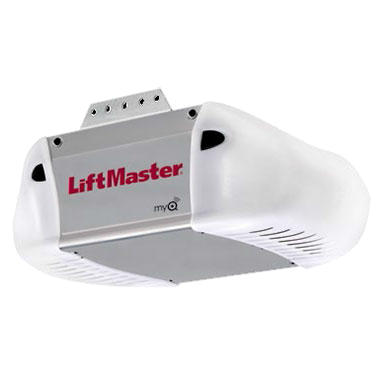 A very powerful and durable garage door opener. It has the fewest moving part of the four, making it the easiest to maintain. It uses a metal rod to control the lifting mechanism of your door. 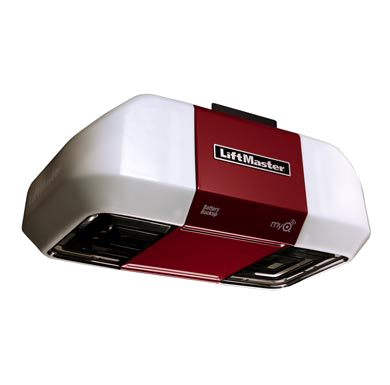 The Liftmaster 8355 is one of the most energy efficient and reliable openers guaranteed to perform well for years.